Bob Robinson & Son Construction has extensive experience and expertise in residential, commercial and institutional sanitary sewer and storm sewer installation, maintenance and repair; water service installation, ground maintenance (e.g. grading and drainage), and landfill maintenance work. 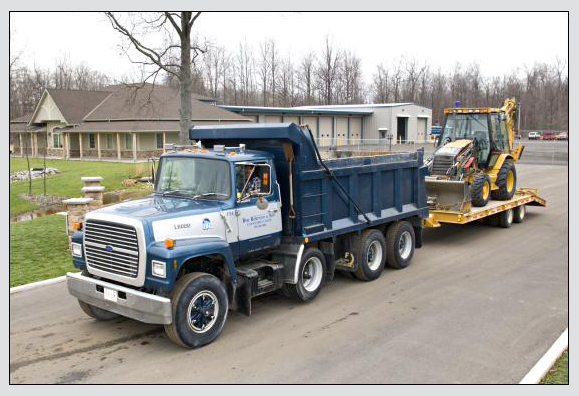 Landfill work includes maintaining infrastructure at waste disposal sites such as cleaning leachate collection sewers, storm sewers, sedimentation tanks, culverts, and storm water retention pond inlets and outlets. Bob Robinson & Son Construction can also assist in the preparation of infrastructure maintenance protocols and procedures. Progress program reports can be prepared as part of the maintenance protocol.